Iranian Foreign Minister mocks US and Israel on Twitter after the two countries’ withdrawal from UNESCO goes into effect. 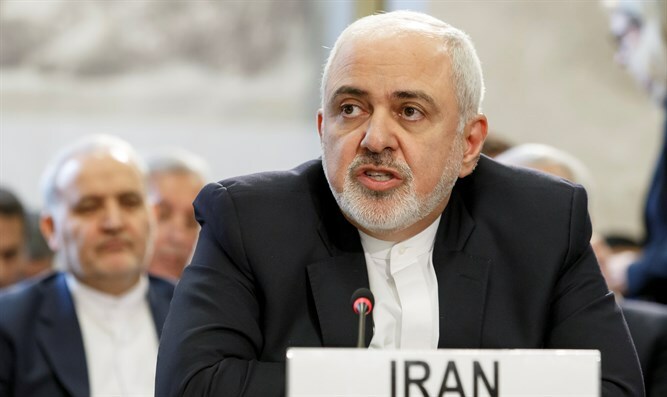 Iranian Foreign Minister Mohammad Javad Zarif on Tuesday suggested on Twitter that the United States and Israel should leave Earth, in a mocking post that came as the two countries’ withdrawal from UNESCO, the UN’s cultural agency, went into effect. “After #JCPOA, #NAFTA, #TPP, Climate Convention & ..., the Trump regime—along with the Israeli regime—today officially withdrew from #UNESCO. Is anything left for the Trump Administration and its client regime to withdraw from? Perhaps from planet Earth altogether?” tweeted Zarif. The tweet comes just days after Zarif insisted that Iranian officials have never threatened to destroy Israel, despite endless examples to the contrary. Israel announced last December that it intended to withdraw from UNESCO, after the US made a similar announcement. It takes a year for the withdrawal to take effect. Israel had a contentious relationship with UNESCO, which has approved several anti-Israel resolutions in recent years. In October, the UN agency approved a resolution declaring that the Cave of the Patriarchs in Hevron and Rachel’s Tomb in Bethlehem are "an integral part of the Occupied Palestinian territory." Previous resolutions referred to the Jewish state as "the occupying power" in Jerusalem. Another declared the Old City of Hevron as a “Palestinian World Heritage site”. In 2016, UNESCO passed resolutions declaring that Israel has no rights to Jerusalem, and describing the Temple Mount and Old City of Jerusalem as Muslim holy sites.